Titans might only be one episode into its season, but a new behind-the-scenes video just provided fans with some pretty major teases. The latest episode of DC Daily featured a behind-the-scenes reel for Titans, which previews what is to come on the DC Universe original series. 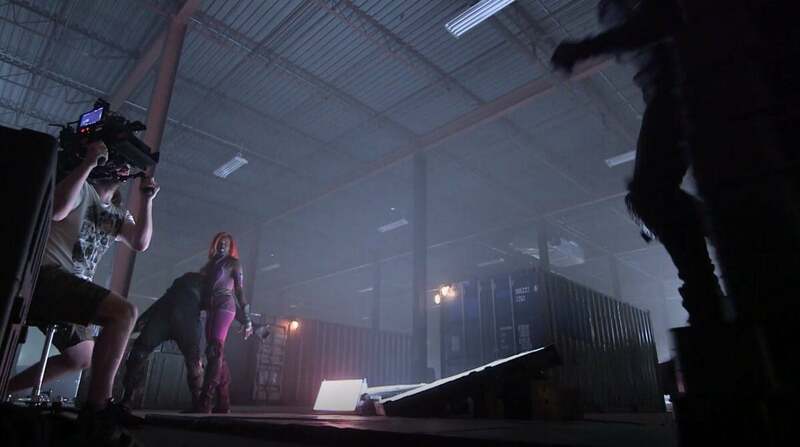 One behind-the-scenes snippet shows Kory Anders/Starfire (Anna Diop) fighting off a series of bad guys, while sporting straightened hair and a version of the purple jumpsuit she wears in the comics. 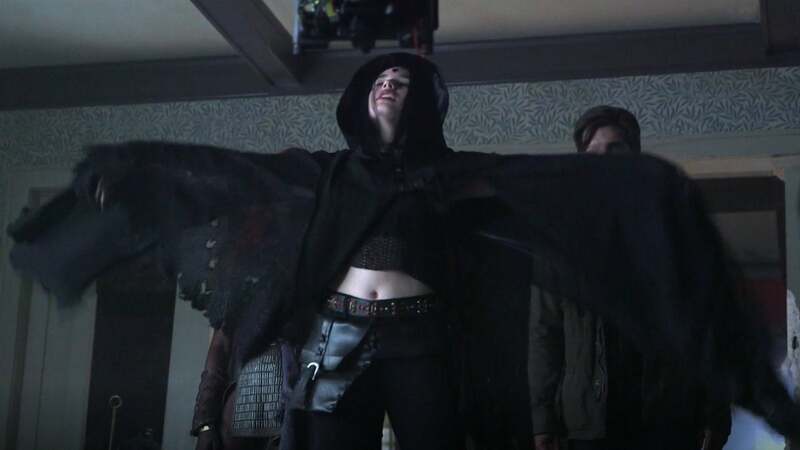 Rachel Roth/Raven (Teagan Croft) can also be seen sporting some new duds, in a hooded cape, crop top, and forehead markings similar to her comics counterpart. While there's no indication of exactly when these costumes will debut in Titans' first season, both Diop and Croft had previously hinted that they would be on the way. For Starfire in particular, the nature of Titans' costumes has been a cause of controversy, as various racist and sexist remarks were made when her earliest costume was unveiled. As it turns out, the outfit fit right into the European nightclub world that Starfire navigated in the pilot episode, and Diop indicated that it would evolve further. “As soon as I put it on, everyone was flipping out,” Diop told ComicBook.com of the classic costume. “It’s awesome because it’s something that so many people have seen for so long and it means so much to people and this is the first time we’re bringing it to life, but you know — our story takes its time. It takes its time, it’s an origin story, so it takes its time in the characters coming to this place where you see them and the way that everyone’s always known. I hope that the audience can be patient with us and have fun with us. It’s a ride, and it’s a fun one." What do you think of these new looks at Starfire and Raven's Titans costumes? Share your thoughts with us in the comments below! New episodes of Titans debut Fridays on DC Universe.